Our newsletter went out today. We are receiving many offers of support and we appreciate hearing from all of you! This is one of the many emails we received this afternoon. Congratulations on the campaign for a National Nurse Office! We will be successful! On January 18, I presented the RN journal editorial outlining the National Nurse campaign and website. Copies were distributed to all MSN students in our Health Policy course at Ferris State University, Big Rapids, Mich. From there, hopefully grassroots advocacy will take hold as several students were taking the information back to their respective health care agencies (some very large health systems). Please send me posters and other information that may be of benefit to promote the campaign. Keep up the great work.... all nurses must ban together to strengthen our voice!" We definitely concur with the suggestions in this email we received from a nurse in Oregon. "I'm glad your team is doing some positive lobbying for nursing's image. I firmly believe our nation does not understand all that nursing does and with proper education would request more nursing related services in all areas of health care. I hope your program will emphasize nursing as a whole and it's diverse roles." "On the other hand, I'm concerned about the ideas of having a variety of nursing folks posting educational messages. Not that I am worried about their expertise in their field, only whether health promotion specialists will be on board divising successful health education/promotion within the messages. Trained health promotion specialists need to be involved to make the messages as successful as possible." On Friday, March 31st, 2006, you are invited to attend a free conference to learn more about the National Nurse proposal. 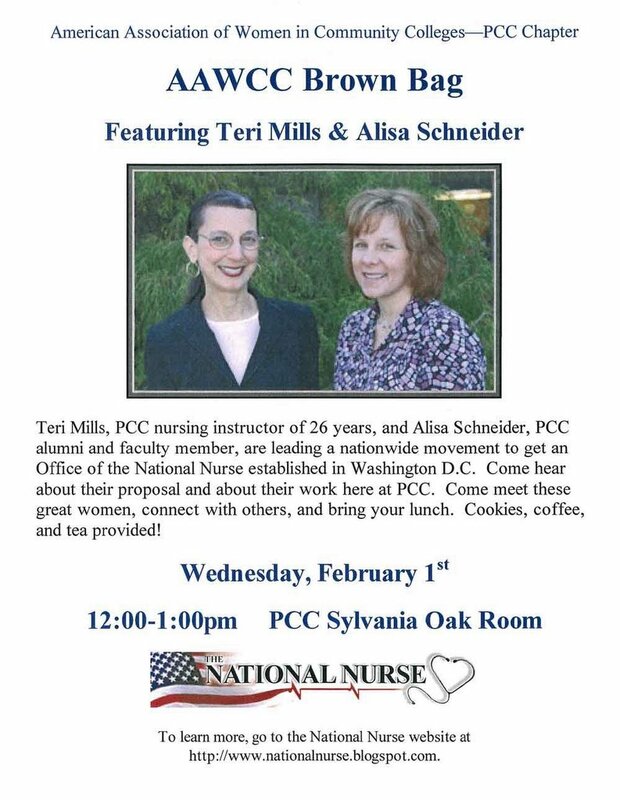 Teri Mills and Alisa Schneider will be keynoting the meeting and will be bringing a powerpoint presentation as well as a "mock" video demonstrating how a broadcast message from the Office of the National Nurse could given to the public. There will be a time for questions and answers and we also want to hear your feedback. Other speakers are planned for this event as well. The conference will be held from 10 am to 1 pm at Mt. Wachusett Community College located at 444 Green St in Gardner, Massachusetts. Please RSVP to teri@nationalnurse.info and let her know the names of attendees and she will be happy to forward this information on to the host. Teri will also let you know of places you might stay if you are traveling from a distance and need overnight lodging. "I am from UPMC Passavant Hospital/ Cranberry, located north of Pittsburgh, PA. I come from a long line of nurses as my mother, maternal aunt and both sisters were and are nurses. My daughter is currently enrolled in the nursing program at University of Pittsburgh at Bradford, PA."
"I feel very strongly that the office of National Nurse is much needed and long overdue. This country has no idea what an impact nurses do, can and will make to educate and promote overall health. You can count on my support and the support of as many of my peers as I can ignite!" Also, a friendly reminder--be sure to submit your email to receive our next newsletter, which will be arriving in your boxes tomorrow morning. Lots of exciting news to update you on too. What is the distribution on this flyer? we need some banners or buttons to cross promote this site! I'm looking for someone to write a limited duration blog about the Medicare prescription drug plan debacle -- the implementation, how the program is structured, who benefits, who doesn't and so forth. This would be a bit like the Social Security blogging we did early last year and a bit like the Special Edition Bankruptcy Bill blog. Basically, we're looking for one or two people to help walk us and our readers through how this program is working or, as it seems, isn't. The person who does this doesn't have to have fancy credentials or a bunch of initials after their name -- just a real world grasp of the nuts and bolts of how this stuff works. If you're interested, drop us a line. Alisa Schneider and Teri Mills, both members of the National Nurse Team and faculty at Portland Community College (PCC) will be speaking to the PCC Chapter of the American Association of Women in Community Colleges (AAWCC) on February 1. They will show their powerpoint presentation, including evidence that demonstrates the need and cost effectiveness for a National Nurse, a videotape showing what a "mock" broadcast message from a nurse specialist and a "National Nurse" would look like, and a television interview about the Office of the National Nurse. This is a great way for your organization to have input into the proposal.
" Health economists suggest that if these preventive measures were practiced on a wide scale, complications from diabetes would be largely eliminated and the American medical system, and by extension taxpayers, could save as much as $30 billion over 10 years. The experts disagree on what such an effort would cost. (How much nutrition counseling does it take to wean the average person from French fries?) 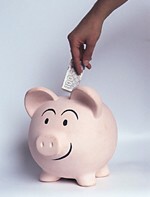 Nonetheless, many of them believe the cost would be largely offset by the savings." 30 billion dollars in ten years equals 3 billion dollars a year. One National Nurse, a staff for this person, maintainance of a website, videotaping of messages, 50 state nurses-you do the math. If you didn't get a chance to read the most emailed story by the New York Times today, Diabetes and Its Awful Toll Quietly Emerge as a Crisis, you have a week to do so before it is archived. Unfortunately, none of the patient stories will come as a surprise, especially to nurses and health care workers who work in public health or on a medical-surgical floor in your local hospital. The Times reporter articulated the complications of diabetes well including the clients with kidney transplants, amputations, cardiac disease, and of course stroke. Half of the hospital beds were filled with patients, all who had diabetes in addition to their primary health problem. An estimated 800,000 New Yorkers suffer from diabetes, a snippet of what is occurring nationally. "Already, diabetes has swept through families, entire neighborhoods in the Bronx and broad slices of Brooklyn, where it is such a fact of life that people describe it casually, almost comfortably, as "getting the sugar" or having "the sweet blood." Within a generation or so, doctors fear, a huge wave of new cases could overwhelm the public health system and engulf growing numbers of the young, creating a city where hospitals are swamped by the disease's handiwork, schools scramble for resources as they accommodate diabetic children, and the work force abounds with the blind and the halt." The Times article points out the high cost of treating Type 2 diabetes, a disease that is preventable and can be postponed. These included the expense and hardship of caring for family members, higher taxes, increased public spending to divert the disease, but add on to that time lost from work, and higher insurance premiums and you can see how this condition will affect all of our pocketbooks. The commissioner of the NY City Department of Health states "Getting millions of people to change their behaviors (to prevent Type 2 diabetes) will require some kind of national crusade." We believe that by creating an Office of the National Nurse we will be taking the first step to do just that. The nation desperately needs accurate, accessible education on how to prevent Type 2 diabetes, including in our youth, whom we are beginning to see afflicted in increasing numbers. 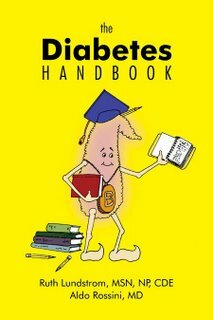 The National Nurse and a diabetes specialist, working with the Surgeon General, the CDC, the HHS Secretary and the American Diabetes Association, would be responsible for a broadcast message that would include basic information about the disease, the risk factors, and specific diet and exercise recommendations. Education is very different from simply saying there is a problem. We know Type 2 Diabetes exists in epidemic proportions, now is the time for every nurse in the country to stand up and do something about it. Through the Office, 3 million nurses could sign up to volunteer on a National Nurse Community Team to deliver an educational program to the public-these programs would run simultaneously and occur on the same day nationwide. Do you want to continue with status quo, or do you want to be part of a solution to our country's healthcare dilemna? We welcome your comments and ideas. "There is concern that a National Nurse could end up giving the impression that there is only one voice in nursing and that that voice, whomever this individual is, would attempt to control the national nursing message." Excellent comment and a very real concern by the way. Thanks for writing and also for expressing this so clearly. You are absolutely correct, and even the words first used in describing the National Nurse were incorrect. As we hear from nurses, supporters, and even opponents around the country, we are better able to explain what we would like to see happen, as we see how words can be misunderstood or misinterpreted. The National Nurse will not be a spokesperson for the nursing profession. There is absolutely no way in the world this person could be or would be. The main premise is that the National Nurse is a representative from nursing, with a strong public health background, with the mission of focusing every American on health promotion and prevention. We always knew there could not be one single nurse in America with the knowledge or expertise to deliver a weekly message on ways to live healthy to the nation, thus the idea to have a nurse "expert" who would actually be responsible for delivering this content with the National Nurse introducing the subject. We describe the nurse "expert" as one who has the experience in a specialty area of nursing, for instance diabetes or cardiology. The National Nurse is not to take the place of the work of the American Heart Association or the American Nursing Association, or the National Black Nurses Association, or PH Commission Corps of Nurses. The Office is not to deliver care, it is about delivering the message of prevention to ALL Americans, not targeted groups. Nurses and doctors have always worked together, and why not have a National Nurse to work alongside of the Surgeon General? Please continue to email teri@nationalnurse.info with your comments and concerns. Pat Patterson of the OR Manager says "Here's one of the best ideas we've heard in a long time-- National Nurse." In an article she wrote in the July 2005 issue, Pat discussed the role of the National Nurse quoting Teri Mills throughout the article. Teri has discussed the focus on prevention as well as lowering health care costs and increasing visibility to the roles of nurses. Highlight health education through 15-minute weekly programs that would also be available on the Internet. Help teachers spread the word about good health through downloadable lesson plans. Promote a National Nurse Corps to enhance health in the nation's communities. Promote legislation for a healthier nation. Give public recognition to the work nurses do every day. Help stem the nursing shortage by attracting people to the profession. On a personal front, I have had a much better experience with nurses than doctors and I am a strong proponent of preventative care versus 'disease management' which I think is too much the focus of our mainstream Western medicine today. On a recent trip to the Cathedral of the Pines, I was reminded of the important role nurses have played throughout our history. One of the better known attractions of Rindge, New Hampshire, the Cathedral of the Pines has an 'Altar of the Nations' and the 'Memorial Bell Tower'. The Cathedral is shielded by towering pines and a backdrop is a magnificent view of Mount Monadnock. It was built in memory of Lt. Sanderson Sloane who died in combat in 1944. The Memorial Bell Tower is the first memorial for women who sacrificed their lives for our country. 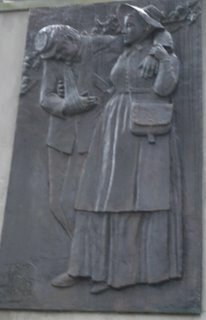 A bronze tablet on the north arch of the tower depicts Clara Barton, founder of the American Red Cross, assisting a wounded soldier from the battlefield during the Civil War. 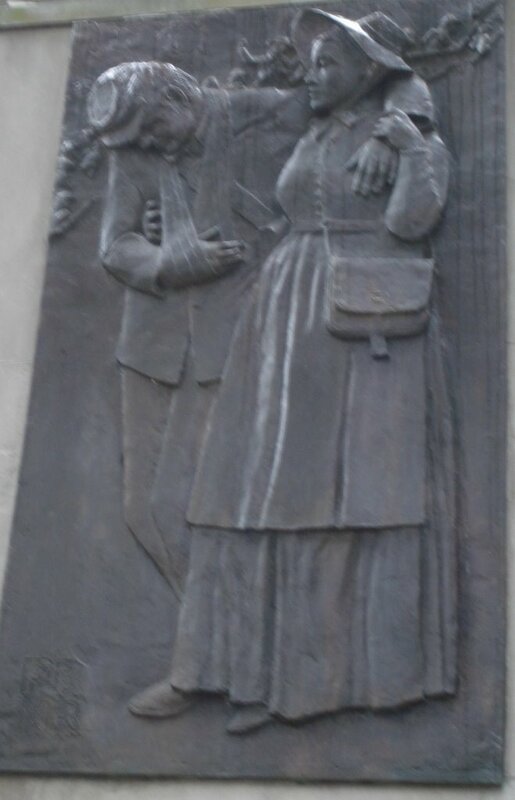 This plaque honors the women nurses serving the combat forces. Nurses have always played an important role in the history of healthcare, and the office of National Nurse will move us forward in advancing healthcare in the U.S.
"I think the National Nurse Office is a great idea. I would just hope that if there are state coordinators and teams (it was not clear if these are volunteer positions or paid) that they would coordinate closely with exisiting local and state public health efforts already undertaken by state and local health departments so that there is not duplication of effort and that efforts in promoting health are coordinated. Perhaps even contracting with exisiting health departments and provide funds so that their own local staff, who are already familiar with the community, would help them to expand their outreach and education efforts." Answer: Yes, the state coordinators would be federally paid positions. 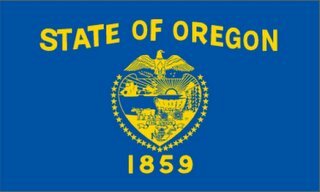 These individuals most likely already work in the public health system in their own state and would take over this job, leaving the job they have now to be filled by another public health nurse. The state coordinator would absolutely work alongside the existing state and local health departments to avoid duplication and better coordinate the volunteer National Nurse community teams. A member of the community team may be a nursing student, a retired or currently working nurse. This individual may only wish to participate in one of the four community educational programs available to the public or may choose to do all four. This is strictly their decision. community and systems level of practice. We have been greatly influenced by our Minnesota colleagues articulation of public health nursing practice at 3 levels. Historically, improvements in health for the whole population have come from improvements in the physical and social environment rather than attempting to influence people one by one. Public health nursing is playing a stronger role in this especially related to "creating healthy communities". I would hope that the National Nurse effort would tie into the achieving of the goals of Healthy People 2010 and would allow for customization at the state level given that states have varying degrees of the severity of certain problems and varying degrees of health disparities." The already existing state nurse would work with the National Nurse state coordinator and help to disseminate information from the Office of the National Nurse to the community level. The National Nurse will complement the work of the Surgeon General as well as the Director of the CDC and the HHS Secretary. The weekly broadcasts coming from the Office of the National Nurse will heighten the public's awareness and knowledge about nursing and public health. Maybe some politicians will watch or listen to the broadcast too. The National Nurse is one solution to a complex problem-the present crisis in our healthcare system. It is not meant to solve every problem, but to be one pragmatic and cost effective solution. Healthy People 2010 would have more chance of succeeding with the Office of the National Nurse than without it. 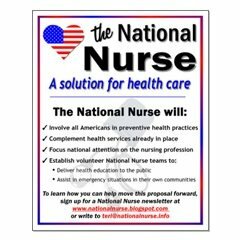 We, the National Nurse team, welcome your emails, comments, and suggestions. Nursing is teamwork, and when we work together, our patients win. Thanks to Teri's friends in Illinois and Detroit, we now have our new National Nurse logo available in buttons and teeshirts-www.cafepress.com/nationalnurse. Chuck Baker, a radio talk show host from Colorado, will feature a thirty minute segment about the National Nurse on his Colorado show tomorrow afternoon from 2:30-3:00 pm. Be sure to listen in and call with your questions. 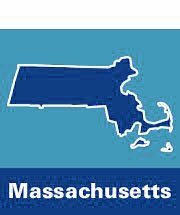 Teri and Alisa will be traveling to Massachusetts the end of March to keynote a statewide convention. We look forward to traveling around the country and educating others about the National Nurse. Please email teri@nationalnurse.info if you would like to submit an idea for a conference you believe should hear about the Office of the National Nurse. Thank you for your many emails, comments, and support. We try to read and respond to all of them and we value the time it took you to write to us. National Nurse advocate Teri Mills was a recent guest of Thom Hartmann on his nationally syndicated radio talk show. Click on the link above to listen to a recording of the 12/28/05 interview. Oops! I see I commented in the wrong section. Sorry. See my comment in the thread below. Thanks, Joe. 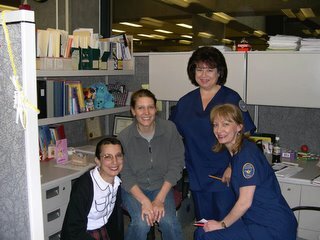 America's Nurse, the op/ed published in the New York Times on May 20, 2005 that began the Campaign For A National Nurse, was awarded a tie for fourth place in the 3rd Annual Golden Lamp Awards. 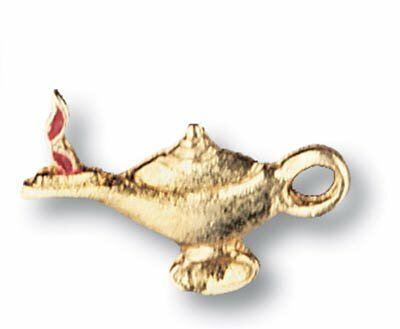 According to Sandy Summers, Center Executive Director, the Golden Lamp Awards highlight media portrayals from around the world that the Center for Nursing Advocacy and the American Journal of Nursing (AJN) believe deserve attention, for better or worse. The awards will be featured in the January issue of AJN. Teri Mills, good comments on the radio show. It helps us understand better what you are doing. A couple of suggestions from a media person: 1) Don't interrupt callers when they are asking you questions. You cut off the guy and never let him finish his comment or question before responding and then cut him off again when he tried to interject. 2) Be more concise in answering. Other than that your radio appearance went great. Keep up the good efforts.